The 1 Hotel & Residences on Miami Beach's Collins Avenue offers Miami Beach condos for sale as well as hotel suites. Formerly known as The Perry, this beachfront condo-hotel has become a very popular hangout, always teeming with an interesting cast of locals and celebrities. If you own a residence at the 1 Hotel & Residences South Beach, you’ll also be able to make use of its many hotel amenities. Also available in the 1 Hotel & Residences is an infinity edge pool complemented by cabanas as well as a spa and gym with the latest technology. Explore a little further and you’ll find a boutique plus a beach club designed by celebrated Stephane Dupoux. Everything from floor to ceiling windows and glass doors to granite kitchen countertops and oversized private balconies can be found in the 1 Hotel & Residences residences. The beach is next to the 1 Hotel & Residences condo, you can actually walk to it. Also nearby is the Bass Museum of Art, the Bayshore Golf Course and the Miami Beach Botanical Garden to the southwest. If you'd rather not hang out at 1 Hotel & Residences, the W South Beach is another popular place or you can explore the rest of the South Beach area which includes the 24 hour excitement of Ocean Drive. Best ocean view of any 1 bedroom at 1 Hotel & Homes. The 16 line is the premier 1 bedroom model, situated closest to the ocean with wide open southeast views over the pool deck, coastline and ocean. Flexible rental policy provides for a great investment property with the option of personal use. Great amenities including 4 pools, valet, private owner's lobby separate from hotel entrance, and the best restaurants in South Beach. Fully furnished and turn-key with 1 Hotel and Homes furniture package. Stunning Ocean views from your 1 bedroom, 1 full bath Turn-Key residence at 1 Hotel & Homes, South Beach. Top of the line finishes; Italkraft kitchen,Bosch/Subzero appliances & porcelain wood planks throughout. LEED Certified Hotel living; rooftop pool, bars & sand filled lounges.Private residential lobby, concierge & chauffeured Tesla.600 linear ft of beachfront, 4 pools,14,000SF fitness center, Bamford Spa, full beach & pool service, valet & more. 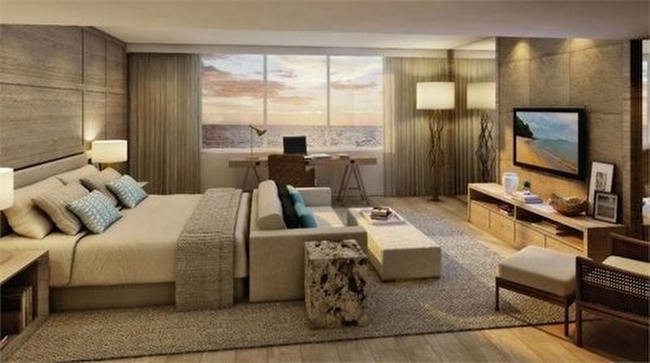 Stunning One Bedroom beachfront residence at the 1 Hotel in South Beach. Residence 1012 features a modern kitchen with stainless steel appliances, white quartz countertops, Yakarta Blanco backsplash and delivered turnkey with the Hotel Furniture Package. Enjoy Spectacular ocean views from the spacious private terrace and the beautifully designed master suite. World class amenities include 24 hour concierge, valet parking, bellman services, full service fitness center and spa, pool deck cabanas and 4 swimming pools which includes a rooftop pool with panoramic views of the ocean. **South-Facing Hotel Furniture Package** 1 Hotel & Homes, brand new finishes! Stunning and oversized 1 bdrm residence with Ocean View. Luxurious full service amenities and several restaurants with bar options. Beach services, resort-style, family-friendly pool or rooftop pool exclusive for adults. Fully-equipped gym with exercise classes included. In the heart of all South Beach has to offer. 1 Valet Parking Space included. Luxury 1BR/ 1.5BA condo in the beautiful 1 Hotel & Homes. 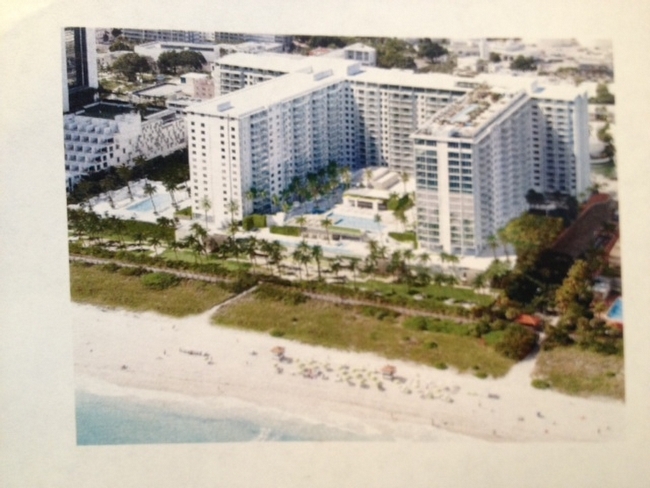 Custom designed, this oceanfront unit features nearly 900 sq. ft. of living space with ocean views. Kitchen features stainless appliances by Sub-Zero and Bosch. Beautiful finishes and flooring throughout. A true five-star living experience, 1 Hotel & Homes offers residents 24-hour concierge service, free Tesla car service, 4 pools, fitness center and spa and more. The short-term rental policy offers lucrative income potential. All of this and more just steps from South Beachs hottest restaurants, nightlife and shopping. Best price 1 bedroom facing the ocean. Meticulous 1 bedroom 1.5 baths at Iconic 1 Hotel & Homes. Amazing design by Deborah Aguilar, this unit is in the hotel program currently. Ocean views while enjoying the 5-star experiences 1 Hotel & Homes. 24 hours concierge service, free Tesla car service, 4 pools, fitness center, spa, and more. The short-term rental policy offers lucrative income potential, the unit makes a handsome return! All of this and more just steps from South Beaches greatest restaurants, nightlife, and shopping. This is the best-priced ocean facing, one bedroom unit available right now! Easy to show! Enjoy magnificent ocean views from this 1 bedroom residence at the 1 Hotel & Homes, South Beach. Furnished with the Hotels furniture package. Great income producing property, the owner can choose to participate in the Hotels rental program or rent privately. The property offers a private residential lobby fully staffed with a concierge, valet, doorman, and front desk. 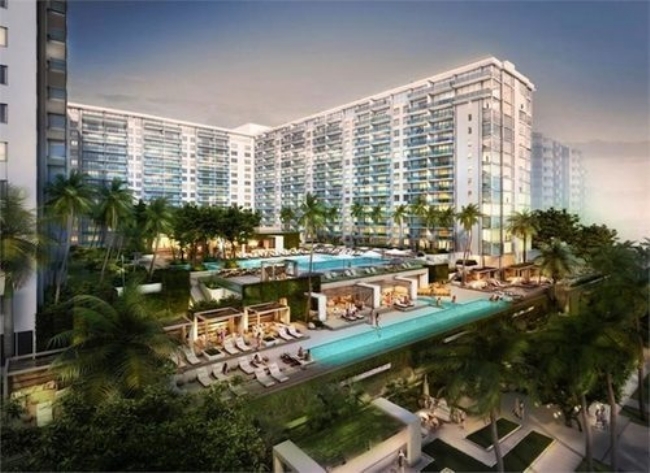 Building features excellent amenities- 4 swimming pools including a roof top pool with panoramic views of the Miami skyline, fitness center, spa, full beach and pool service, restaurants. 1/1 Unit furnished with exquisite taste italian Furniture, fully equipped and ready to use or rent out. The fabulous One Hotel offers everything, including private beach club, rooftop pool and bar, direct beach access, 4 amazing pools, jacuzzi and more. 5-Star Hotel Condo Living! Stunning Unobstructed Ocean Views 2Bed 2Bath Corner Unit. Fully Furnished, ready to use and enjoy. 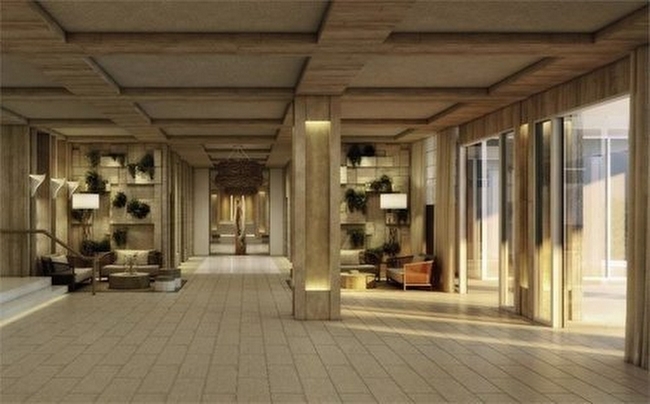 Hotel living with private residential lobby! Full service building, 600 linear ft of beachfront, 4 pools, 14,000sqft fitness center, Bamford Spa, full beach & pool service, valet & more. Located directly on the ocean and centered in the heart of South Beach. Stunning 2 Bedroom, 2 Bathroom Penthouse in one of the most sought-after hotels on South Beach. PH1615 is immaculately finished with white oak flooring throughout, a custom designed kitchen featuring cabinetry by Italkraft, white quartz countertop, imported Italian silver travertine slab backsplash, an oversized island, and top of the line Sub-Zero and Wolf appliances. The 1 Hotel & Homes penthouse collection offers owners the convenience of Oceanfront living while having access to hotel services and amenities. The building features, a private residence lobby, four swimming pools, including a stunning rooftop pool and restaurant, full-service 14,000 SF Bamford Haybarn Spa, Anatomy Fitness Center, 24-hour concierge, Tesla house car service, in-home natural care botanical service and more. 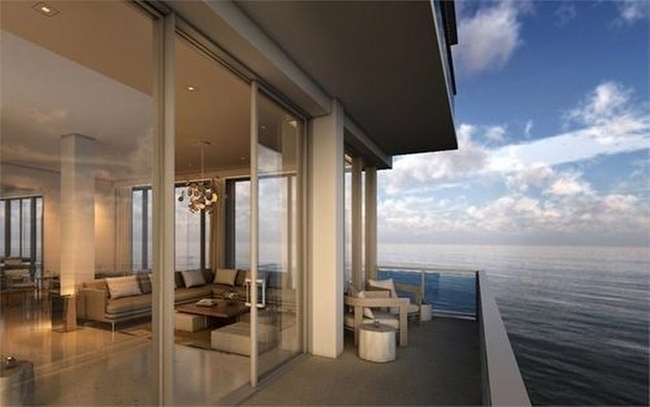 Beautiful direct ocean view residence at the new 1 Hotel & Homes in South Beach. This 2 bedroom / 2.5 bath apartment has 1,605sf with two master suites, an expansive balcony and ocean views from every room. Impeccably and tastefully furnished by Artefacto . Building features excellent amenities- 3 swimming pools including a roof top pool with panoramic views of the Miami skyline, private owner's lobby, valet parking, restaurants and much more. No rental restrictions provides for a great investment property. Stunning Water Views from this PH Floor 3Bed 3Bath 1Half Bath 2,200SqFt Under AC. Spacious Unit with Oversize Living. Completely Turn Key with 1 Hotel Furniture package. 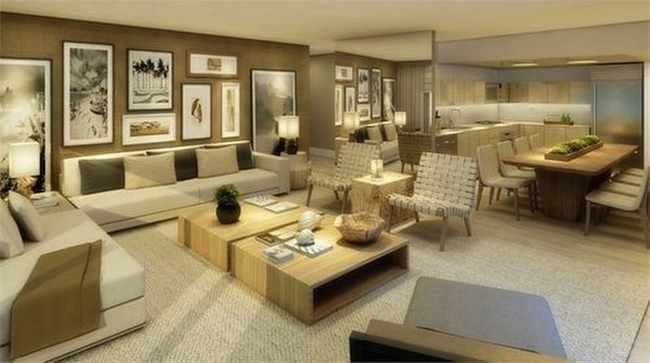 Hotel living with private residential lobby! 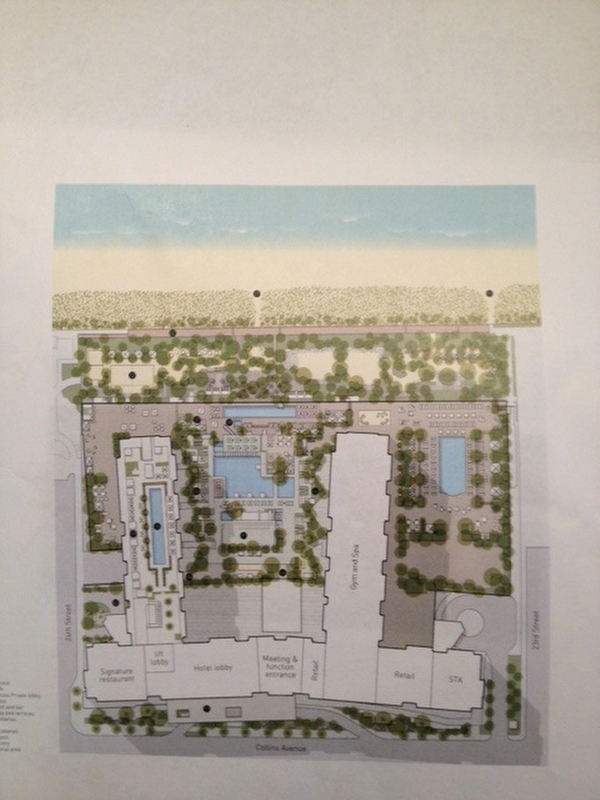 Full service building, 600 linear ft of beachfront, 4 pools, 14,000sqft fitness center, Bamford Spa, full beach & pool service, valet & more.Flexible rental policy provides for a great investment property with the option of personal use. This 3 bedroom 1,736 sq. ft. penthouse is the ultimate vacation home. Enjoy views of Miami Beach while sitting on your private balconyoverlooking the 1 Hotel mainpool. This is without a doubt one of the mostgorgeous penthouses in the building with one of the best views.Must see for yourself.Condo features include Italkraft kitchen, Wolf/Subzero appliance, oak wood floors, and the ultimate 1 Hotel custom furniture package designed by acclaimed interior decorator Debra Aguiar. White glove services including a private fully-staffed residence lobby, valet attendants, personal concierge, chauffeured Tesla sedans, 5 star luxurious and chic eco-conscious amenities to include 4 pools, 4 restaurants, 3 bars, 14,000 sq. ft. gym, Bamford spa and hair salon, Soul Cycle, and much more. Fantastic 3 bedroom plus a Den (only model with a Den)unit at One Hotel and Homes completely turn key, PRIVATE balcony without other units looking into yours, attention to every detail on this unit designed by Artefacto , enjoy oceanfront living at its best, roof top pool.This is the newest and most exciting destination in South Beach. Stunning Ocean views from this 3 bedroom plus Den, 3 bath turn-key residence! Delivered with the hotel furniture package by acclaimed designer, Debora Aguiar. 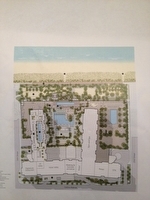 Top of the line finishes; Italkraft kitchen,Bosch/Subzero appliances & porcelain wood planks throughout.LEED Certified Hotel living; rooftop pool, bars & sand filled lounges.Private residential lobby, concierge & chauffeured Tesla.600 linear ft of beachfront, 4 pools,14,000SF fitness center, Bamford Spa, full beach & pool service, valet & more. This 4 Bedroom 3.5 Bathroom Penthouse offers ample living space coupled with a 1,907 sq.ft. Private Rooftop Terrace featuring a Jacuzzi and outdoor shower. Breathtaking views of Biscayne Bay, Downtown Skyline and mesmerizing Sunsets. Enjoy top of the line finishes; white oak flooring, wolf and Subzero appliances. Delivered Fully Furnished with the Hotel Furniture Package.Experience beachfront hotel living with access to all services including housekeeping, valet, concierge, in-room dining, 14,000 SF gym, Bamford SPA, Restaurants, Rooftop pool & more! Beautifully finished and furnished, 970 square feet 1 bed/1.5 bath at the new 1 Hotel + Homes. Highly desirable 13 line w/wide open ocean views. Great amenities including 4 pools, valet, private owner's lobby separate from hotel entrance and the best restaurants in South Beach. Gorgeous 1 bedroom luxury condo renting between 30% - 60% below hotel rates. Why pay more if you don't have to? All of our properties come with luxurious linens and towels, Gilchrist and Soames toiletries, and daily coffee and tea. Residence comes with fully a furnished private balcony with views of the Miami Skyline. Custom Italian and Brazilian furniture package provided by hotel. Plush living room sofa that converts into a queen bed, ItalKraft kitchen with stainless steel Bosch & Subzero appliances and a 4 seat dining table. Our guests have access to all of the hotel amenities including 4 swimming pools, 4 restaurants, beach service, cabanas, fitness center, spa, valet service, concierge, ballroom, conference rooms and more. This is a private residence located within a well-known, 5-star Miami Beach hotel located at 2377 Collins Ave. or 102 24th St. (two entrances). This hotels focal point is the use of natural elements thus you can find a variety of organic products throughout. Separate 1 bedroom, 1 bathroom, full kitchen, living room, washer & Dryer, and balcony. 939 Sq. ft. -- Ocean & Pool view. Faces: South. -- Bathrooms are fully stocked with premium amenities for your personal needs (just as a hotel would). -- Entertainment amenities within the unit include LCD TVs, DVD players, Cable, free high-speed wireless Internet. Rentals over 30 days have access to all hotel amenities, resort fee is waived and valet for 1 car is complimentary. This upscale beachfront hotel is a minute's walk from Collins Avenue bus stop, a mile from the bustling Lincoln Road and 1.4 miles from Miami Beach Architectural District. The property has a high-end restaurant and a rooftop bar, as well as 4 outdoor pools, a fitness center and direct beach access with umbrellas. The sophisticated airy rooms have reclaimed driftwood lining the walls and feature ocean views, plus free WiFi, 55-inch flat-screen TVs and Nespresso machines. Upgraded rooms and full kitchens. This unit is a 1 bedroom, 1.5 bathroom apartment with full kitchen, living room & spacious balconies with lovely views of the City of Miami Beach. The master suite has a king bed with walk in closet and en-suite bathroom. The pull out sofa in the living room may accommodate 2 more guests. A washer/dryer is installed in this unit for your convenience. The kitchen is fully equipped and prepared for use; contact our private concierge for additional private chef services, or maid-service with breakfast. The bathrooms are fully stocked with premium amenities for your personal needs. Gorgeous 1 bedroom ocean front luxury condo renting between 30% - 60% below hotel rates. Why pay more if you don't have to? All of our properties come with luxurious linens and towels, Gilchrist and Soames toiletries, and daily coffee and tea. Residence comes with fully a furnished private balcony with views of the Miami Skyline. Custom Italian and Brazilian furniture package provided by hotel. Plush living room sofa that converts into a queen bed, ItalKraft kitchen with stainless steel Bosch & Subzero appliances and a 4 seat dining table. Our guests have access to all of the hotel amenities including 4 swimming pools, 4 restaurants, beach service, cabanas, fitness center, spa, valet service, concierge, ballroom, conference rooms and more. 1 Bedroom plus sleeper sofa. sleeps 4. ocean front. This is a private residence located within a well-known, 5-star Miami Beach hotel located at 2377 Collins Ave. or 102 24th St. (two entrances). This hotels focal point is the use of natural elements thus you can find a variety of organic products throughout. -- A luxury specialist meets all guests for arrivals and departures. -- Daily resort fee charged by the hotel of $35/day for rentals less than 30 days. Rentals over 30 days have access to all hotel amenities, resort fee is waived and valet for 1 car is complimentary. -- Parking is Valet at regular hotel valet rate. -- LRMB provides private concierges service for additional desires like a private chef, maid service with breakfast, groceries, a day on the boat, tours, tickets, tables reservations or simply advice from a local. Available for 6 months to a year. Starting October 1st. Enjoy Intracoastal views from this gorgeous 2 bedroom penthouse with over 1,538 sq .ft. of living space. Comes with the custom hotel furniture package designed by acclaimed Brazilian interior decorator Debra Aguiar. Guests have access to a variety of white glove services including a private fully-staffed residence lobby, valet attendants, personal concierge, chauffeured Tesla sedans, the hotels 5 star luxurious and chic eco-conscious amenities. Rental includes linens and towels, Toiletries, dishes, pots and pans, daily coffee and tea, full use of all the hotel amenities to include 4 pools, 4 restaurants, 3 bars, 14,000 sq, ft, spa and hair salon, Soul Cycle, chauffeured Teslas, and much more. Available for daily, weekly, monthly and yearly rentals through Five Star Luxury Travel. This unit is a full oceanfront, 2 bedroom, 2 bathroom apartment with full kitchen, living room & spacious balconies with lovely ocean and city views. The master suite has a king bed with walk in closet and en-suite bathroom. The second bedroom also has a king bed. A washer/dryer is installed in this unit for your convenience. The kitchen is fully equipped and prepared for use; contact our private concierge for additional private chef services, or maid-service with breakfast. The bathrooms are fully stocked with premium amenities for your personal needs. Beach & pool access, as well as gym, spa and valet access available. Gorgeous 2 bedroom skyline view luxury condo renting between 30% - 60% below hotel rates. Why pay more if you don't have to? Luxurious linens and towels, Gilchrist and Soames toiletries, and daily coffee and tea. Residence comes with fully a furnished private balcony with views of the Miami Skyline. Custom Italian and Brazilian furniture package provided by hotel. Plush living room sofa that converts into a queen bed, ItalKraft kitchen with stainless steel Bosch & Subzero appliances and a 4 seat dining table. Our guests have access to all of the hotel amenities including 4 swimming pools, 4 restaurants, beach service, cabanas, fitness center, spa, valet service, concierge, ballroom, conference rooms and more. This is a private residence located within a well-known, 5-star Miami Beach hotel located at 2377 Collins Ave. or 102 24th St. (two entrances). This hotels focal point is the use of natural elements thus you can find a variety of organic products throughout. THE SPACE: -- Separate 2 bedrooms, 2.5 bathrooms, full kitchen, living room, washer & Dryer, and balcony. 1687 Sq. ft. -- Ocean & City view. Faces: North. -- Bathrooms are fully stocked with premium amenities for your personal needs (just as a hotel would). -- Entertainment amenities within the unit include LCD TVs, DVD players, Cable, free high-speed wireless Internet. This is a private residence located within a well-known, 5-star Miami Beach hotel located at 2377 Collins Ave. or 102 24th St. (two entrances). This hotels focal point is the use of natural elements thus you can find a variety of organic products throughout. THE SPACE: -- Separate 2 bedroom, 2.5 bathrooms, full kitchen, living room, washer & Dryer, and balcony. 1605 Sq. ft. -- Ocean view. Corner Unit. Faces: East. -- Bathrooms are fully stocked with premium amenities for your personal needs (just as a hotel would). -- Entertainment amenities within the unit include LCD TVs, DVD players, Cable, high-speed wireless Internet. Live at the ONE Hotel Residences. 2 bedroom, 2.5 bathrooms, full kitchen, living room, washer & Dryer, and balcony. 1605 Sq. ft. Ocean view, Corner Unit facing East. Turnkey 2 bedroom apartment with the hotel furniture package. Located at the new 1 Hotel & Homes, the hottest destination in South Beach. Directly on the ocean and steps from Miami Beach's best restaurants, night clubs, cultural centers and retail boutiqu es. 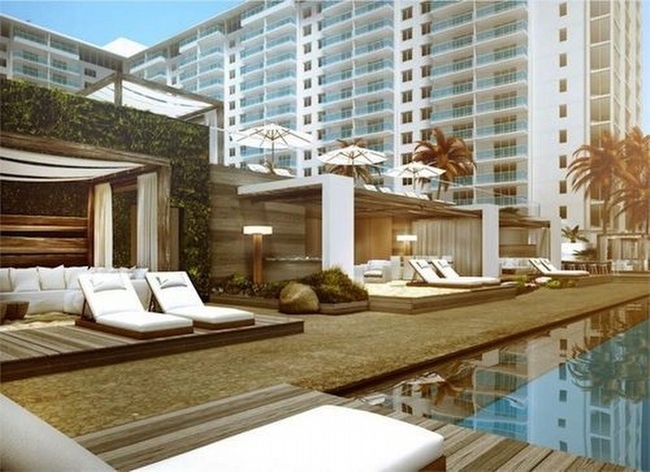 Building features excellent amenities- 4 swimming pools including a roof top pool with panoramic views of the ocean and Miami skyline, valet parking, restaurants, and much more. AVAILABLE MARCH 1ST FOR SHORT AND LONG TERM. Unique 2/2 with views from every room. Located at the hottest destination in South Beach. The newest oceanfront resort. Directly on the ocean and centered in the heart of South Beach. Steps from Miami Beach's best restaurants, cultural centers and retail bouti ques. Enjoy any one of our 4 swimming pools, including our rooftop pool with panoramic views of the ocean and Miami City skyline. The only green hotel brand in Miami Beach. Completely furnished with the hotel furniture package. Seasonal rent is the statarting from rate. Price depends on dates and lenghth of stay. Prime Art Basel Rental Opportunity! Available March 20th. Live the ultimate South Beach resort lifestyle, everyday in this turnkey 1 Home. 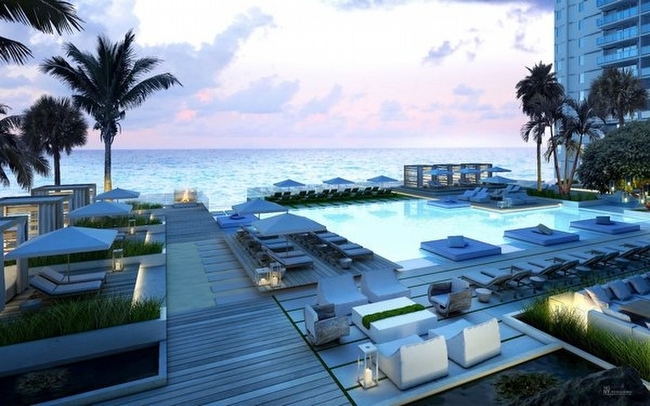 Enjoy lavish sun bathing on the only rooftop pool that exists in Sobe! Indulge in 5 star amenities as butler services, beachfront yoga, housekeeping, room-service, nanny services, full service wellness spa, state of the art fitness center by renown Spartan Gym, & SoulCycle. There are 4 onsite extraordinary restaurants with farm to table concept, including Pubbelly Sushi and STK. This is a private residence located within a well-known, 5-star Miami Beach hotel located at 2377 Collins Ave. or 102 24th St (two entrances). This hotel's focal point is the use of natural elements thus you can find a variety of organic products throughout. Separate 3 bedroom, 3 bathrooms, full kitchen, living room, washer & dryer, and balcony. 2233 Sq. ft. Oceanfront & Pool view. Bathrooms are fully stocked with premium amenities for your personal needs (just as a hotel would). Entertainment amenities within the unit include LCD TVs, DVD players, Cable, high-speed wireless Internet, and free Wifi. The wonderful hotel amenities which include 2 luxurious pools, white sand beaches, 5-star Bamford Haybarn Spa, spacious gym and valet. Room service not available. Enjoy direct ocean views from this 3 bedroom + den luxurious 2,492 sq .ft. condo. Comes with the custom hotel furniture package designed by acclaimed Brazilian interior decorator Debra Aguiar. Each room has smart TV's. Guests have access to a variety of white glove services including a private fully-staffed residence lobby, valet attendants, personal concierge, chauffeured Tesla sedans, the hotels 5 star luxurious and chic eco-conscious amenities. Rental includes linens and towels, toiletries, dishes, pots and pans, daily coffee and tea, full use of all the hotel amenities to include 4 pools, 4 restaurants, 3 bars, 14,000 sq, ft, spa and hair salon, Soul Cycle, chauffeured Teslas, and much more. Available for daily, weekly, monthly and yearly rentals through Five Star Luxury Travel. This is a private residence located within a well-known, 5-star Miami Beach hotel located at 2377 Collins Ave. or 102 24th St. (two entrances). This hotels focal point is the use of natural elements thus you can find a variety of organic products throughout. THE SPACE: -- Separate 3 bedrooms plus den, 3 bathrooms, full kitchen, living room, washer & Dryer, and balcony. 1975 Sq. ft. -- Ocean & Pool view. Faces: South. -- Bathrooms are fully stocked with premium amenities for your personal needs (just as a hotel would). 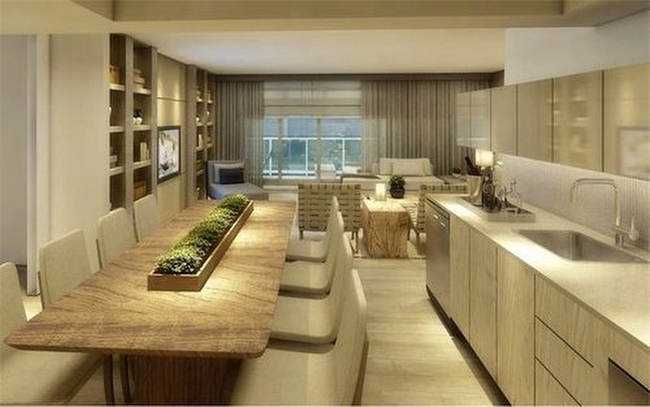 -- Entertainment amenities within the unit include LCD TVs, DVD players, Cable, high-speed wireless Internet. Enjoy Intracoastal views from this gorgeous 2 bedroom penthouse with over 1,730 sq .ft. of living space. Comes with the custom hotel furniture package designed by acclaimed Brazilian interior decorator Debra Aguiar. Guests have access to a variety of white glove services including a private fully-staffed residence lobby, valet attendants, personal concierge, chauffeured Tesla sedans, the hotels 5 star luxurious and chic eco-conscious amenities. Rental includes linens and towels, Toiletries, dishes, pots and pans, daily coffee and tea, full use of all the hotel amenities to include 4 pools, 4 restaurants, 3 bars, 14,000 sq, ft, spa and hair salon, Soul Cycle, chauffeured Teslas, and much more. Available for daily, weekly, monthly and yearly rentals through Five Star Luxury Travel. Beautifully appointed 3 bedroom, 3 bath condominium at the 1 Hotel & Homes. Enjoy the best of South Beach: amazing beaches, great restaurants, excellently serviced building, 3 pools including a roof top pool, a spacious and fully equipped gym and spa and so much more. This unit is a full oceanfront, 3 bedroom, 3 bathroom apartment with full kitchen, living room & spacious balconies with lovely ocean and city views. The master suite has a king bed with walk in closet and en-suite bathroom. The second and third bedroom also have king beds. A sofa bed is present in the living room. A washer/dryer is installed in this unit for your convenience. The kitchen is fully equipped and prepared for use; contact our private concierge for additional private chef services, or maid-service with breakfast. The bathrooms are fully stocked with premium amenities for your personal needs. Beach & pool access, as well as gym, spa and valet access available. Incredibly spacious 3 bed/3 bath apartment beautifully decorated by world renowned Debora Aguiar. Located at the hottest destination in South Beach:1 Hotel & Homes, the only green hotel in M. Beach. 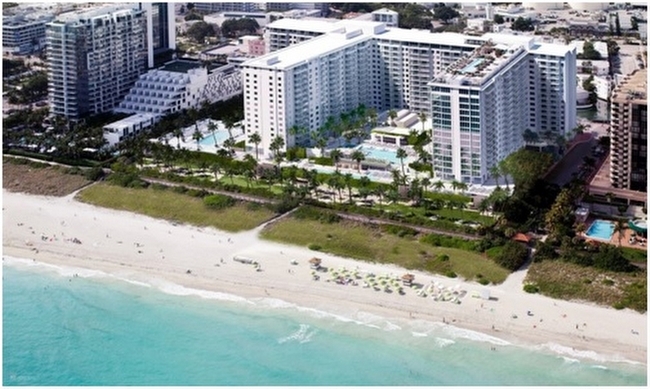 The 1 sits directly on the ocean & is centered in the heart of South Beach. Enjoy any one of 4 swimming pools, including a rooftop pool with panoramic views of the ocean and Miami City skyline, Bamford Spa and 14,000 SF fitness center. This unit is an oceanfront, 3 bedroom, 3 bathroom apartment with full kitchen, living room & spacious balconies with lovely oceanfront views. The master suite has a king bed with walk in closet and en-suite bathroom. The second and third bedroom also have king beds. A washer/dryer is installed in this unit for your convenience. The kitchen is fully equipped and prepared for use; contact our private concierge for additional private chef services, or maid-service with breakfast. The bathrooms are fully stocked with premium amenities for your personal needs. Beach & pool access, as well as gym, spa and valet access available. Brand new private residence on the 10th floor is like no other unit in the building. The space has been modified to include a double-sized living room with floor to ceiling windows that provide breathtaking ocean views and extra sunlight in the common areas. A custom master bathroom is complete with his & her showers. Features include fully equipped kitchen with a dining table for 8, distinctive full furnishings, and washer/dryer in pantry. The large 260 sq. ft. balcony boasts direct views of the ocean. This unit is a full oceanfront, 3 bedroom, 3 bathroom apartment with full kitchen, living room & spacious balconies with lovely ocean and city views. The master suite has a king bed with walk in closet and en-suite bathroom. The second and third bedroom also have king beds. A washer/dryer is installed in this unit for your convenience. The kitchen is fully equipped and prepared for use; contact our private concierge for additional private chef services, or maid-service with breakfast. The bathrooms are fully stocked with premium amenities for your personal needs. Beach & pool access, as well as gym, spa and valet access available. AVAILABLE NOW!!! FOR SHORT AND LONG TERM. Unique 3/3 with direct ocean views from every room. Located at the hottest destination in South Beach. The newest oceanfront resort. Directly on the ocean and centered in the heart of South Beach. Steps from Miami Beach's best restaurants, cultural centers and re tail boutiques. Enjoy any one of our 4 swimming pools, including our rooftop pool with panoramic views of the ocean and Miami City skyline. The only green hotel brand in Miami Beach. Seasonal rent is the statarting from rate. Price depends on dates and lenghth of stay. AVAILABLE NOW!!! FOR SHORT AND LONG TERM. Unique 3+den/3 with ocean views from every room. Located at the hottest destination in South Beach. The new 1 Hotel & Homes. Directly on the ocean and centered in the heart of South Beach. Steps from Miami Beach's best restaurants, cultural centers and re tail boutiques. Enjoy any one of our 4 swimming pools, including our rooftop pool with panoramic views of the ocean and Miami City skyline. The only green hotel brand in Miami Beach. Completely furnished with the hotel furniture package. Seasonal rent is the starting from rate. Price depends on dates and lenghth of stay.